Engaging a novel model for the sources of authority yields the diversity of interpretations around “The Wesleyan Quadrilateral”–and one that seems the most right. I think what is lost is the primacy of scripture in the quadrilateral. I like [the image of a] wind chime…Tradition, reason, and experience are important pieces, but they must be filtered through scripture. Most of the arguments you see come down to how that filter works and differing exegesis. I resonated with that image as it gave movement to a weird polygon shape. 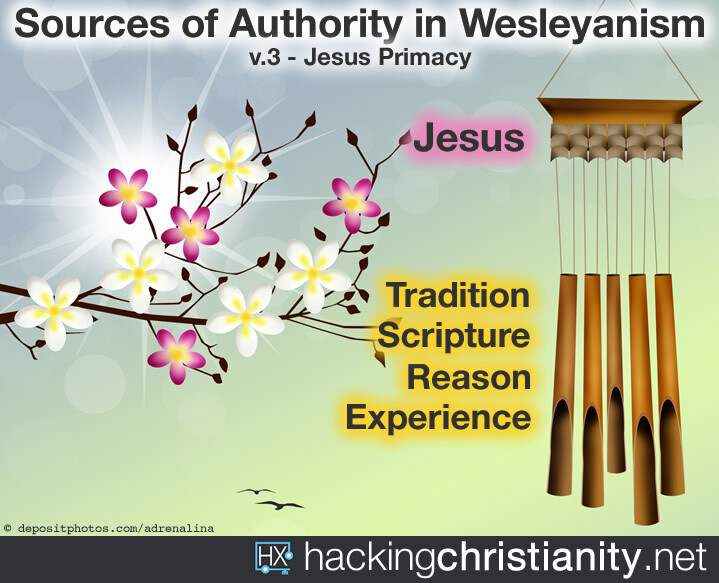 Rather than running circles around an exegetical box, it instead named the sources of authority. Using this model, when the Spirit blows, Tradition, Experience, and Reason make music out of the Spirit, but it is all held together with Scripture as primary. 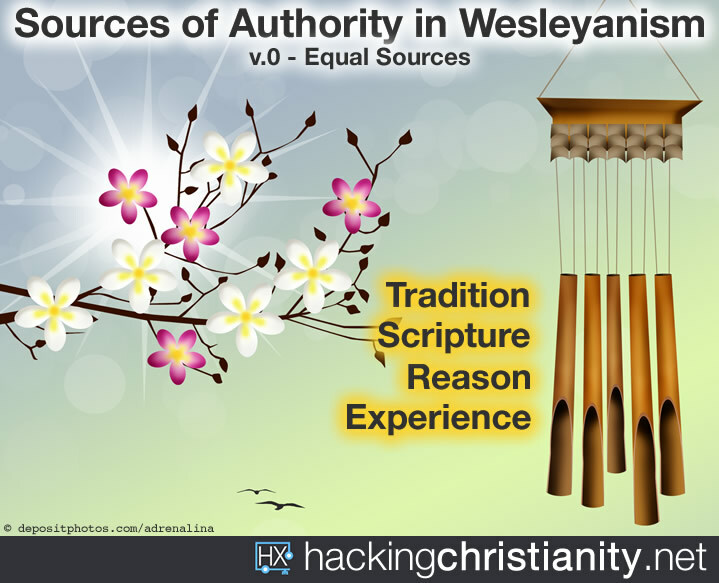 Without Scripture, the other sources are just noisy gongs or clanging symbols. John Wesley did not formulate the succinct statement now commonly referred to as the Wesley Quadrilateral. Building on the Anglican theological tradition, Wesley added a fourth emphasis, experience. The resulting four components or “sides” of the quadrilateral are (1) Scripture, (2) tradition, (3) reason, and (4) experience. For United Methodists, Scripture is considered the primary source and standard for Christian doctrine. Tradition is experience and the witness of development and growth of the faith through the past centuries and in many nations and cultures. Experience is the individual’s understanding and appropriating of the faith in the light of his or her own life. Through Reason the individual Christian brings to bear on the Christian faith discerning and cogent thought. These four elements taken together bring the individual Christian to a mature and fulfilling understanding of the Christian faith and the required response of worship and service. So the internet discussion poster harmonizes with the official beliefs of The United Methodist Church whose polity currently reflects this primacy of Scripture (see v.1 above). However, Wesleyan theology has not been static over the decades, and there’s many different models within Wesleyanism. Additionally, in the internet discussion thread, the poster did not go unchallenged. Several commenters chimed in (yuk yuk) with their own interpretations. My polity professor in seminary, a retired Bishop, said that while scripture has spiritual primacy, we need history, science, studies of languages and culture, as well as other disciplines to be able to read it well and truly. He said that the seeking of truth much more often begins with experience…either an experience of God or an experience of life…which we then go to Scripture to help us understand…which we then look to other scholars and writers and commentators and historians to help us understand…and reason to help us balance it all, to toss out what conclusions or interpretations don’t fit as untruth, and claim the rest. For the Christian, our primary filter should be Jesus. Yes, Jesus is revealed in scripture, but not all scripture reveals Jesus. Therefore, scripture should be read through the lens of Jesus. Tradition should be seen through the eyes of Jesus. One should reason through the mind of Christ Jesus and experience should be felt through the heart of Jesus. For these perspectives, when the Spirit blows, their chimes ring in a different way, and we can argue round and round over which chime should be on top. All things must be filtered through the Church, the Body of Christ. The Body is primary, has primacy, under God in Christ, empowered by Holy Spirit. We have, at our disposal, Scripture, tradition, experience and reason to help us. All four of those chimes hang on the Church, the Body, who hangs on God in Christ. Binding/loosing referred to the Jewish practice of interpretation of the law. The rabbis would “bind” a law when it applied to a situation, and “loose” a law when, even though the commandment was eternal valid, it was not applicable under certain circumstances. Today we are empowered to live out this ability. Some Christian communities have loosed the prohibitions against women in the pulpit, and some have loosed the prohibitions against divorce, and others have bound the prohibitions against LGBTQ persons. We have this authority from the Disciples to today. Will “Better” Catechism Stop LGBTQ Inclusion? Finally, a guest post uses this hermeneutic well: By Whose Authority? Interpretation and The UMC. So in my case, my chimes look like the above (Version 4), which I don’t believe is in conflict with the official United Methodist four sources theology. The Body is so important, and while flawed at times, I believe it is in the various bodies of the Body of Christ that the diversity of binding and loosing lives out most effectively. Ecclesiology truly matters. What chimes best reflect your beliefs? Version 0 with equal sources of authority? Version 1 with scripture as primary? Version 2 with experience as primary? Version 3 with Jesus (almost WWJD) as primary? Version 4 with the Body of Christ as the primary source of authority? Sound off in the comments, and thank you for your shares on social media. Feel free to reuse this post in Sunday School classes or academic study. Attribution requirements are found here. would counter on “experience”… my understanding/reading is that *experience. * I think Wesley would put your definition of *experience* under *reason.” The Anglicans already had Scripture/tradition/reason. Taking into consideration Aldersgate, the “not revealed to you by flesh and blood” of the Holy Spirit added this fourth dimension. Assumes that experience and reason are based upon an individual’s perception. Our UMC uses a collective reasoning approach via the General Conference. Since individuals can be fooled by their feelings or by flawed reasoning collective experience and reasoning provide some stability and prevent us from being led astray by the mood of the moment. Version 1 here – Scripture is primary. The primacy of Scripture is taught in our Credo confirmation curriculum, where this image is used. (Someone on the thread you read probably learned it there and started the conversation.) The primacy of Scripture is also taught in the current Discipline, as you know. In Para. 104.4 each of the four sources and criteria is given its own unique role, albeit in descriptive or historical language: “Wesley believed that the living core of the Christian faith is revealed in Scripture, illumined by tradition, vivified in personal experience, and confirmed by reason.” Granted, that language is a little non-committal and would be more decisive if it said “With Wesley, we believe that…” but that point is made more or less moot in the subsection in Scripture where we say: “Scripture is the primary source and criterion for Christian doctrine.” That’s pretty clear-cut, at least in the realm of this discussion of primacy. Of course it doesn’t answer every question relating to Biblical authority and interpretation, not by a long shot; but for what it is, it’s clear. . . . . The faithful pursuit of complete deliverance of the human soul to perpetual harmony with Father God allows/requires a broader ecumenical approach. . . . . God is the primary authority. A faithful, steady approach to God’s throne was made possible by the sacrificial death, burial, and resurrection of Jesus. The Holy Spirit will now assist human efforts to understand scripture and help us reasonably balance: 1) our experiences, 2) our understanding of scripture; by using the lenses of 3) tradition, 4) experience, and 5) fellowship. Wesley is DEAD. Ecclesiology still matters and the role this HACK had on my relationship with Christ matters. My concern with “The Body of Christ” or “The Church” is the claim that most religious institution make as been them and many times, only them, that represent the true “Church of Christ”. I have discused this issue before in my blog, Diálogo Metodista :: Puerto Rico. I don’t think Jesus ment for the church to be institutionalized. The Church or “Body of Christ” is everywhere, in and outside of the religious institutions. To my understanding the “Church” or “Body of Chist” is not an orginized entity but all the followers of Jesus. It is dangerous to asume that an institution will determine how to interprete the sources of authority or be the filter of all religious things. The center of my argument is what or who is the Church. I can still remember when I was told that the Pope’s words were infalible becouse he was the representative of Chist. This chime is not sounding to good for me. What is Scripture but a record of men’s experiences, reasoning, and encounters with God? Each category cannot stand apart from the other. The hermeneutic is always temporary; we may choose to view certain categories more prominently through the lens of a “primary” category, but we need to constantly shift our gaze and consider more interdisciplinary strategies. I am intrigued by reading all 4 categories through Jesus, not because one’s notion of Jesus is a pure and reliable starting point, but it reminds me to include other voices that are not recorded in Scripture. It prompts me to think about others’ experiences, reasoning, and traditions that are not familiar to me. I know this may be a bit late, but here is a similar analogy I have been refining since the summer of 2015. 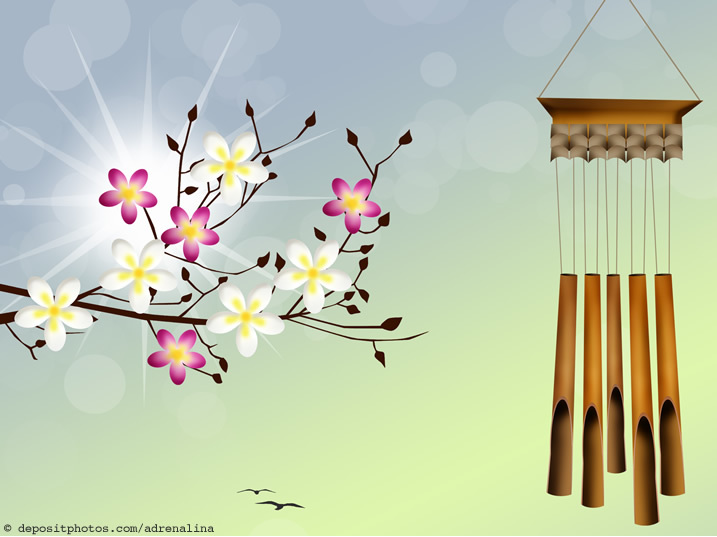 I am certain that the idea of using a wind chime is not original to me, but I do not remember where I first heard the idea…. “To illustrate the way these four interpretive lenses work together, imagine a set of wind chimes with three individual chimes, representing tradition, experience, and reason. At the center, is a round disk, representing scripture. 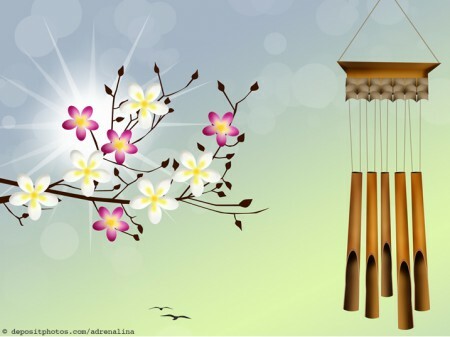 As the wind of the Holy Spirit blows, the various chimes hit against the disc to create a beautiful sound. Likewise, scripture retains it primacy, while speaking most fully when expressed through tradition, experience, and reason. Secret, Private, or Public Evaluations of #UMC Clergy?